Every so often I’ll run into a specialized store that will amaze me with its ability to be in business with a very narrow range of product. The most amazing, at least for me, has been “The Tassel Shop” which sells nothing but tassels. But, I was recently wandering in the Upper East Side and ran into another one but this one has certain pluses that the Tassel Shop can’t match. 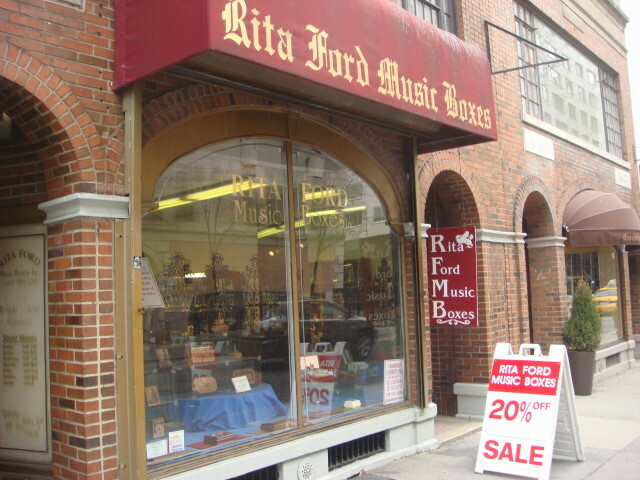 It’s Rita Ford’s Music Boxes. 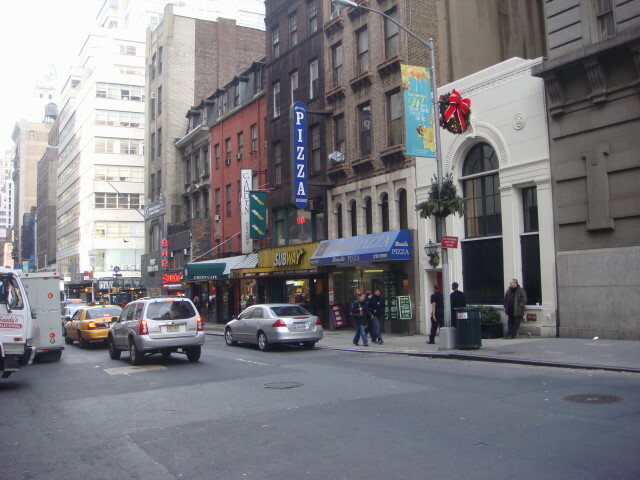 It’s located on 65th Street near Fifth Avenue which makes it an absolutely first rate location. All they sell is music boxes. Really nice ones, too. To be honest, I’ve never really given much thought to music boxes. 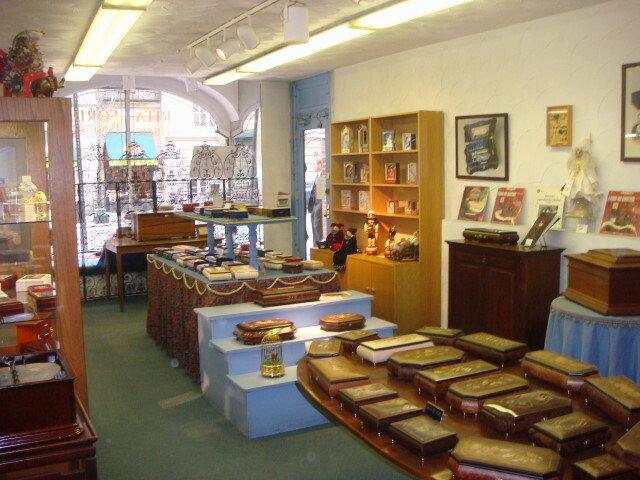 I asked the gentleman running the store about it and he mentioned that they have been in business for around 50 years and are a leader in the field. 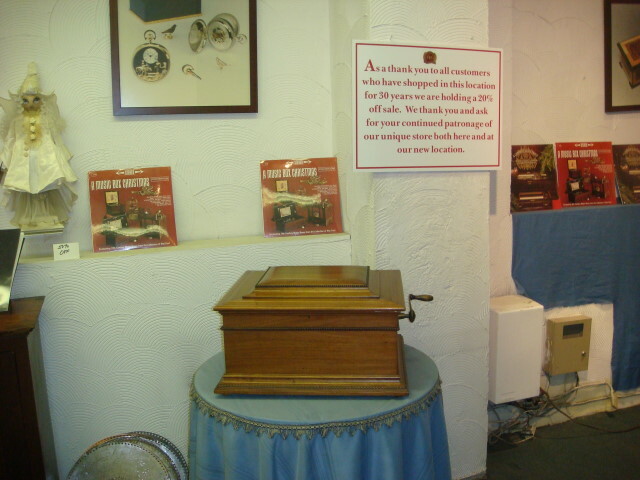 He showed me some of the workings of the music boxes and how there are various levels of sophistication to the sound. I always think of them as having a limited repertoire of notes, but some of them sounded pretty good. 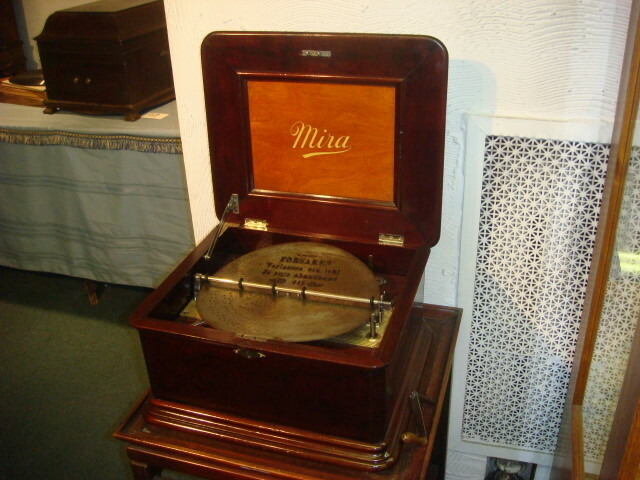 The shop also has some big ones and obviously antique versions. The one below was amazing to see. I didn’t want to ask him to play it. Okay, I did want to ask but I didn’t want to put him out. 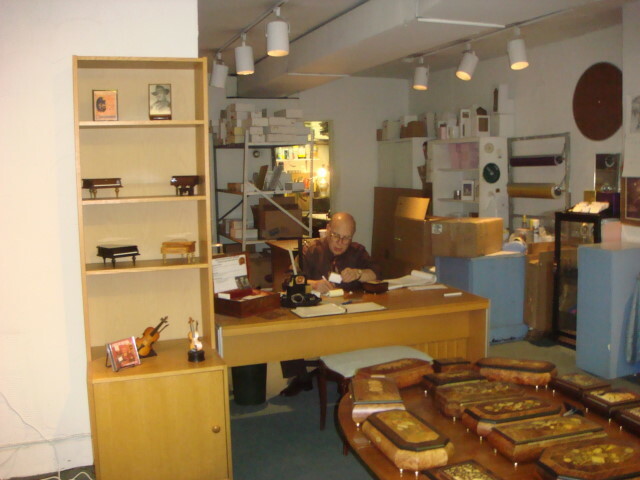 Don’t expect to come in here and pay $9.99 on a music box. They may have some, but I sure didn’t see them. 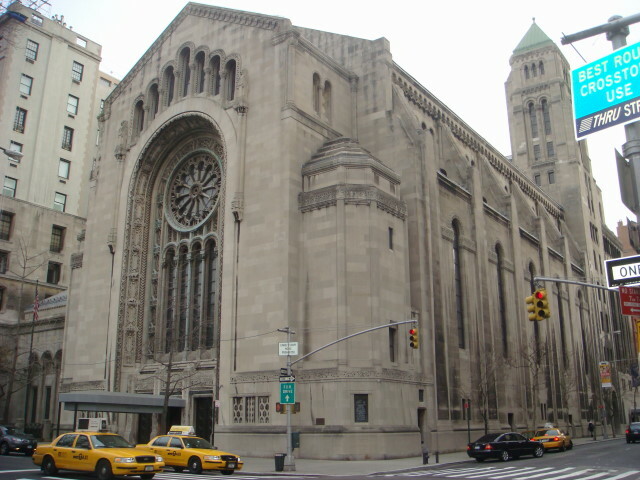 From what I understand, this Temple is the premier Reform Jewish house of worship in NYC. The building itself certainly is impressive. There’s a plaque that does provide some of the details of the building and its worshippers. It states that the building is made of limestone and was built in 1929. The designers based the building on a “Moorish-Romanesque” style to capture both the eastern and western cultures. It notes that there are mosaics by Hildrevh Meiere in the sanctuary. As always, I love a good doorway. Wikipedia provided other items that I wasn’t aware of. 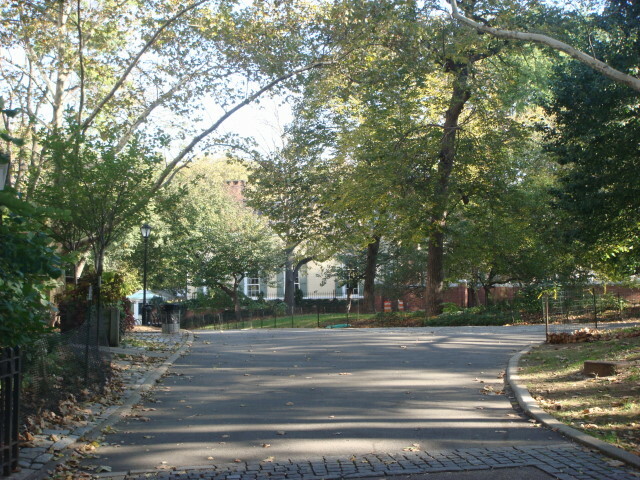 The site was where John Jacob Astor’s old mansion used to be. In NYC, that’s class. It also has seating for more people than St. Patricks Cathedral. That’s big anywhere. Here’s another shot of the Temple that indicates where those 2,500 congregants can fit. 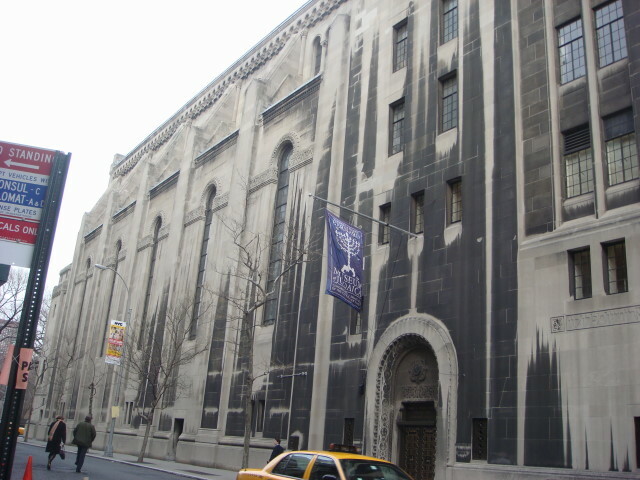 This is from the 65th Street side. 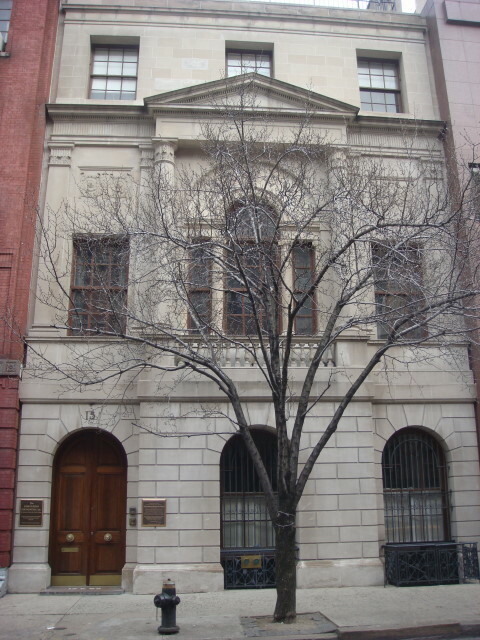 Thaddeus Kosciuszko (lots of spellings of his name as you might expect) was a Polish hero of the American Revolutionary War, and on East 65th Street there’s the site of a foundation named after him. It’s a Polish-American group that primarily works to promote educational and artistic exchange between the US and Poland. I’ve heard that they have a library or museum inside, but wasn’t able to find out when I went by there. There are two plaques next to the door. The first gives the briefest of histories of the Revolutionary War hero. 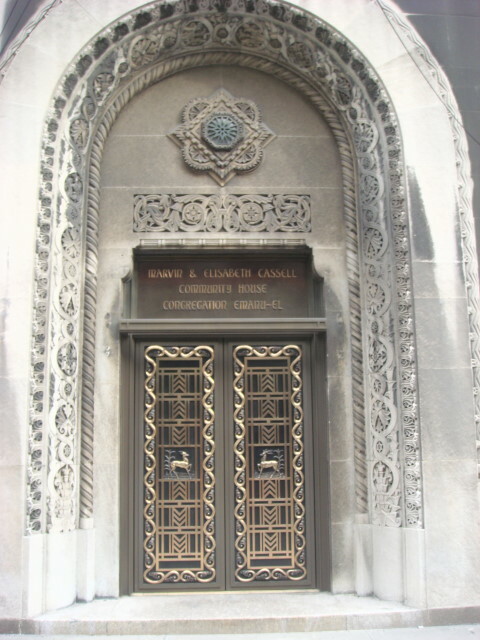 The second plaque is simply a naming of the foundation and gives the goal of the foundation: An American Center for Polish Culture. I’ve actually had a “nodding acquaintance” with Koscuisko for a long, long time. When I lived in Washington DC, I found that he was one of the five statues located in Lafayette Park. He was the only one I wasn’t familiar with at the time and I went out of my way over the years to find out a little more about the man. I was on 65th Street between Park Avenue and Lexington when I started hearing chanting. Intrigued, I sought out the source and discovered a small group of protestors walking in a tight circle in front of one of the townhouses, just using some open parking spaces and not blocking traffic. I was interested in the protest as they were uniformly Black protesters carrying signs about BET. 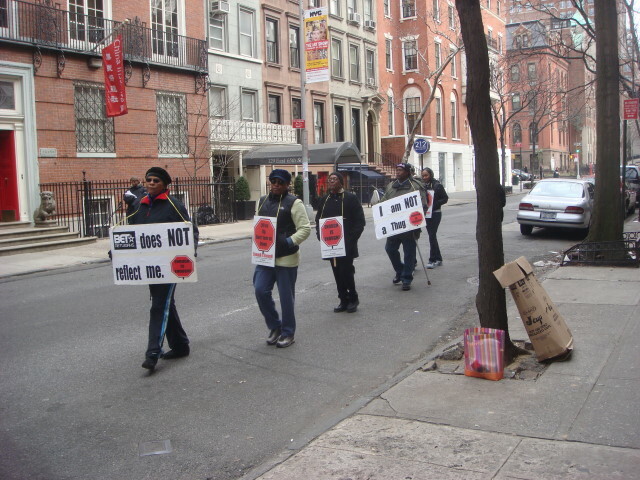 It turned out that they were denouncing Viacom CEO Philippe Dauman who apparently lives nearby. In addition to owning such things as MTV, Dreamworks, Paramount, and more than a dozen other entertainment properties, Viacom owns Black Entertainment Television. They were protesting the portrayal of Blacks on BET as showing derogatory images and sending negative images of Black Americans. They handed out literature that identified them as being sponsored by Shiloh Baptist Church and asking for support in generating legislation to set standards in music and videos to prevent such portrayals. In addition, they want to eliminate a lot of what I would call “basic cable” by generating opt-ins for cable purchases. Apparently, they do this every Saturday in front of the guy’s home (it’s a pretty nice looking townhouse). Philippe wasn’t available for comment – or so I presume as I didn’t knock. “Cuzn Cathy”, an occasional commenter on this site, mentioned to me that she had heard that Mariella’s Pizza had the best pizza in NYC. Now, Cathy lives in a very faraway land. Why, it’s well beyond New Jersey! (Can you imagine?) How she can find out such information on the mighty subject of NYC pizza is nearly beyond me, but she made the suggestion and I thought I’d follow up. There are actually four of them in Manhattan. I chose the one closest to me, on 60th Street between Lexington and 3rd Avenue. If you know Manhattan, that puts it across the street from Bloomingdales. That means I’ve walked past “the best pizza in NYC” about 100 times or so. It’s the place in blue. I’m not one to take pictures of the interiors of crowded restaurants, so that’s the best you’re gonna get from me. I went, I ate, I mostly enjoyed. I checked out some reviews on www.menupages.com and they stated that the cheese pizza was their best. And that’s the way it always is. If you want good pizza, the cheese pizza is the measure. The interior of Mariella’s is nondescript. It’s long and thin and only stands out because it has a lot of granite throughout the place. You order at the counter, pay at the counter, and then go hunt for a seat. I got the last open table (right next to the ATM if you know the place). How was it? The crust was perfect. I have to admit they got the crust perfectly correct (at least to my taste). The cheese was excellent. The sause was marginal. Not bad, but just not worthy of the crust. Would I go again? Yeah, but it’s a little out of my way. Every New Yorker has his favorite pizza place. Mine is a place close by Tudor City called “New York’s Delicious Pizza“. How can you go wrong with a name like that? 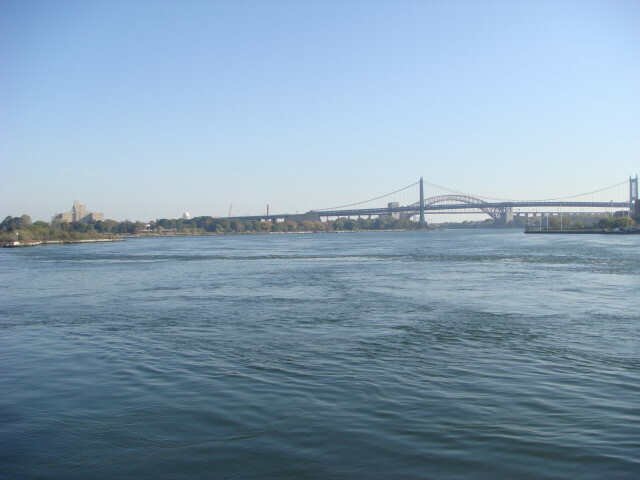 Hell Gate is actually a river junction just off the Upper East Side of Manhattan. 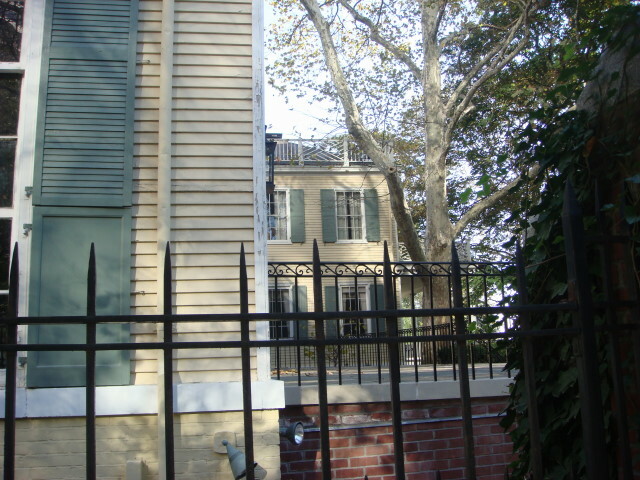 There’s a great view of it from Gracie Mansion. Or, I think there is but the fence is high on that side of Gracie and I can’t see if they have a sightline. Well, they’re elevated so they probably have no problem looking over their own fence. It’s technically between an island on the East River and Queens, but I’ll claim it for Manhattan. 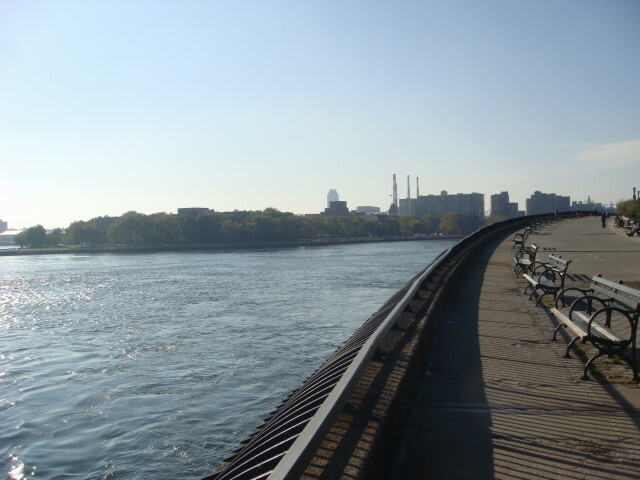 I’ve thought of it where the Harlem River and the East River join. You can definitely see some tumult in the river at that point and it is a really nice view. There’s a wonderful pathway along the river at that point. Lots of trees and joggers. Below is a southward view. I have to admit that supplying benches is something that NYC does very well. Below you can glimpse some of the swirling water that typify the area. 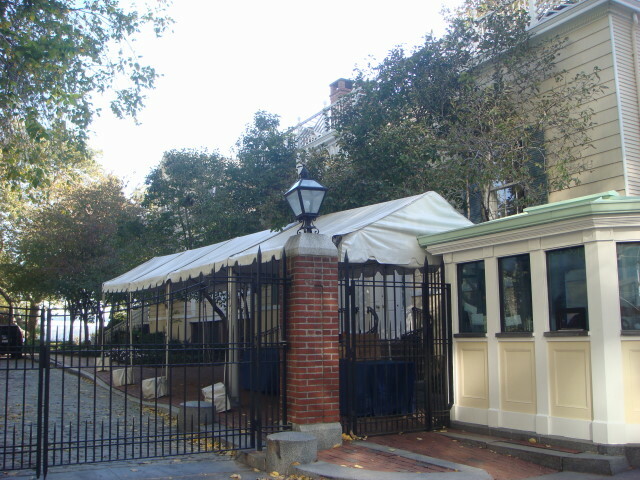 Gracie Mansion is the official residence of the Mayor of New York and has been for quite some time. 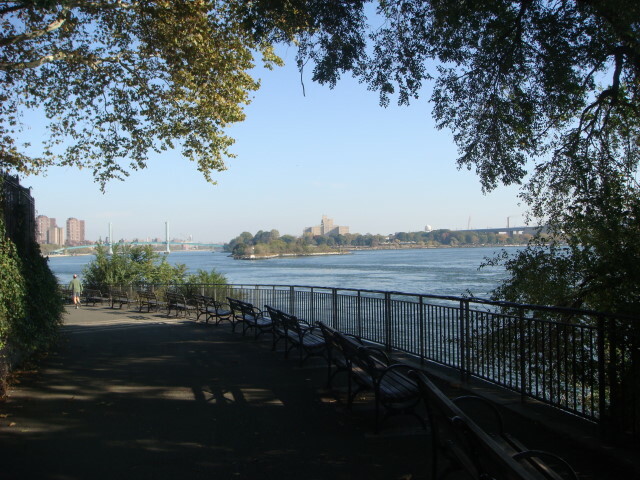 It’s located in Carl Shultz Park on the east side of Manhattan, just about at 88th Street or so. To call it impressive, at least from the outside, is to overstate it. 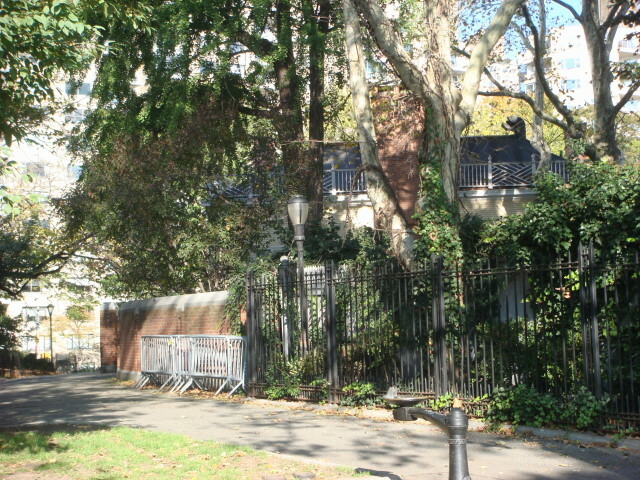 The mansion is located about 20 feet from a major street, East End Avenue, and is between it and the East River. The area itself is really nice. The building is…yellow and pretty big. The next picture is just in from East End. It’s located amidst a bunch of trees and some impressive fencing. One of the guardhouses is right there, keeping an eye on traffic. The next picture is about the clearest view you can get of the place, unless you can get in. The mansion appears to be two largish houses with some sort of connector. In the next pictures you can see that there are two parts to the place. As you can tell, it isn’t easy to see much of the place. I don’t know if it is for security or for privacy or just an original feature to the place. You can walk all the way around the place, but you really can’t see all that much except from the south. Here’s a picture from the east, though. Here’s what you see from the north side. On the west side, you see little or nothing. However, for some absurd reason I love the next picture that shows the fence within a fence. You can see at least three different fences at different points of the perimeter. 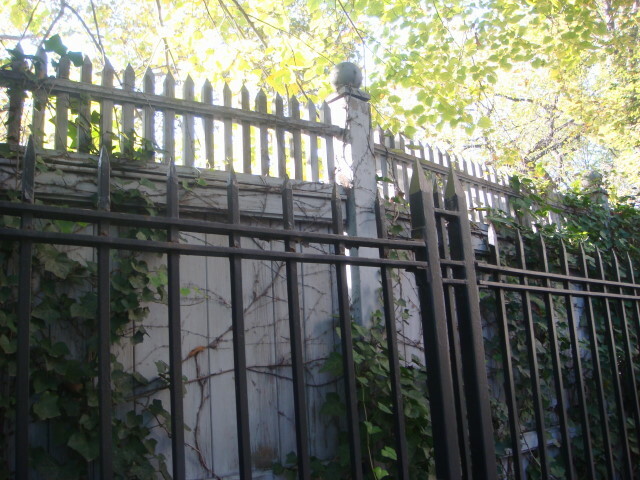 In this, it shows what looks like an old fence that’s great for privacy and an iron fence for security. I think the privacy fence is pretty old which would indicate it isn’t to address recent security concerns. If you paid close attention to the beginning you may have noted I referred to the place as the “official residence”. Well, it isn’t the actual residence. With other mayors it has been. 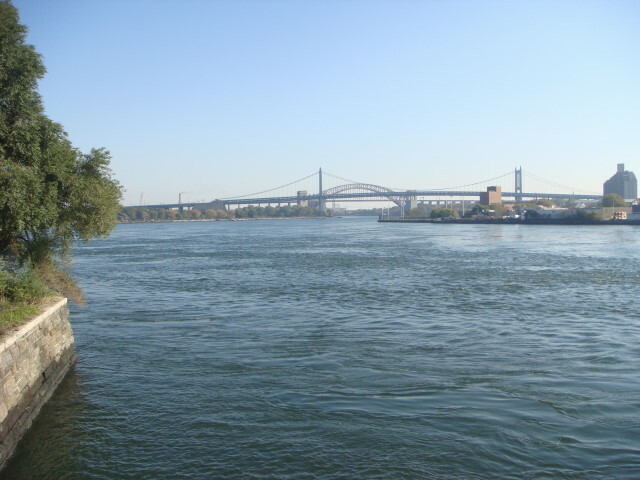 The location’s good and the place is large and that is always in short supply in Manhattan. 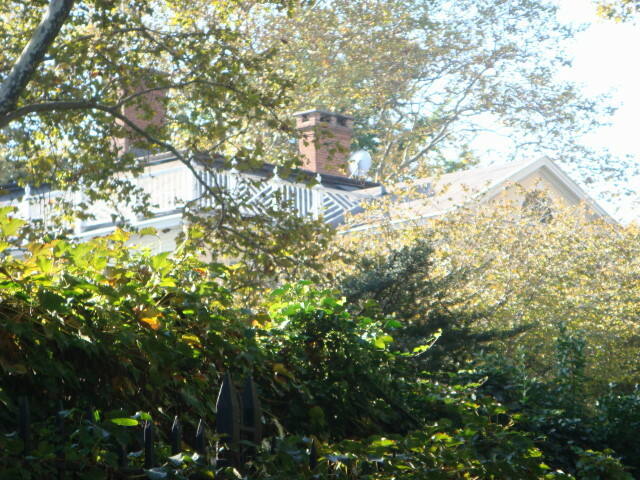 In fact, I think Gracie Mansion is one of the only freestanding one-family houses on the island. I’m sure I’m wrong, but I can’t remember seeing any others. 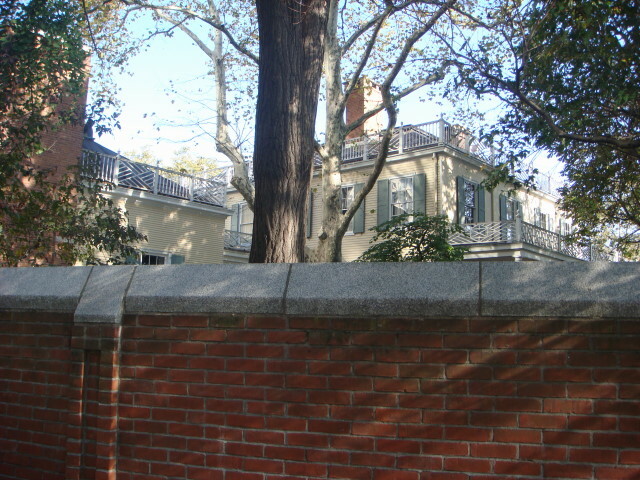 But, for Michael Bloomberg such things as Gracie Mansion are a step down from his current place. He’s a multi-billionaire and has no need for public housing. 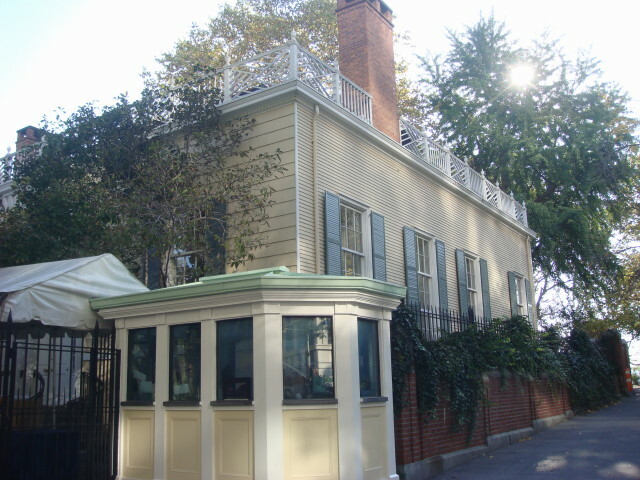 I’ve heard it is in use for formal occasions but I think it would be more cool to see his real place than Gracie Mansion.